You can go to boxtops4education.com and scan your shopping receipts to earn extra Box Top points for WNIS!!! The app is FREE and you still turn in your regular Box Tops like always. Please take a few minutes to support our school and Download this app! Thanks! FloridaStudentsAchieve.org is a new website that will help Florida families make critical education decisions by enabling them to access school and district-level data and will better inform families about the state's college and career ready standards and the quality of learning taking place in their students' classrooms. Do you need to change your child's method of transportation? 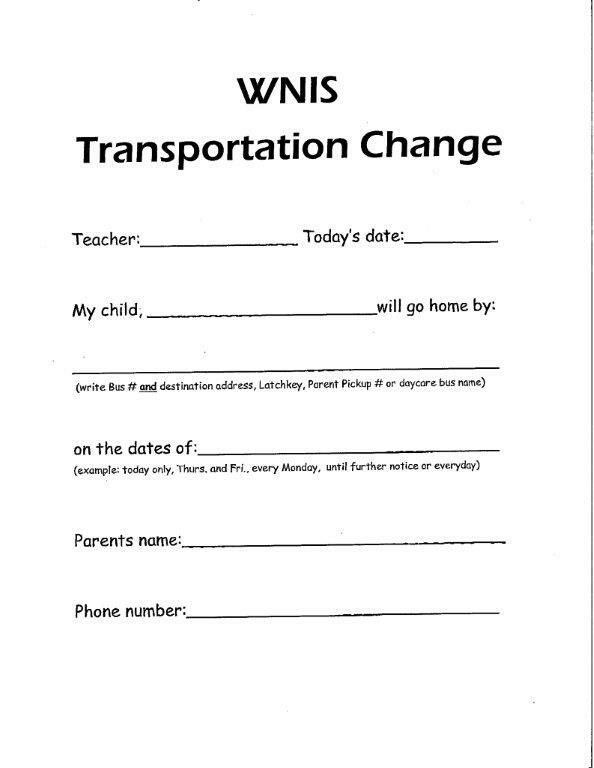 Feel free to fill out a Transportation Change Form and send it in with your child. ​Florida Health- Spill the Water!